In her debut as an author, Kim Cooper Findling’s Chance of Sun: An Oregon Memoir, unfolds the story of an Oregon girl coming of age in the 1970s and 80s, navigating her way through pick-up trucks, dive bars, higher education and backwoods trails before finding a place she belongs. 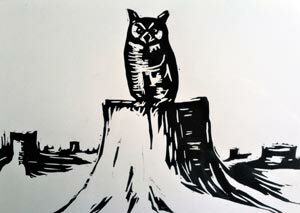 Bend writer Kim Cooper Findling is having a banner year. After a decade of landing essays in in-flight magazines, freelancing for local publications and entering literary contests, she’s enjoying the thrill of seeing two books published in one year. Her first, a travel guide titled “Day Trips from Portland, Oregon” was published in May by GPP Travel, an imprint of Globe Pequot Press. 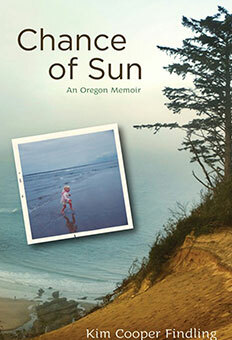 Now, Nestucca Spit Press, a small publisher of Oregon-related books, is publishing “Chance of Sun: An Oregon Memoir,” about her life and self-discovery in Oregon.